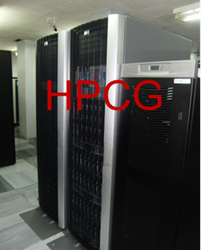 High-performance grid cluster (HPCG) is in operation since 2010. The disk memory of the cluster was expanded in 2014. The cluster was again expanded with additional opportunities to accelerate calculations using graphics cards and co-processors in 2014 and 2015.